Pretty as a picture this watch has been inspired by vintage trinket jewellery. The midi sized dial is crafted using classic white with silver markers and is encased in plated rose gold. 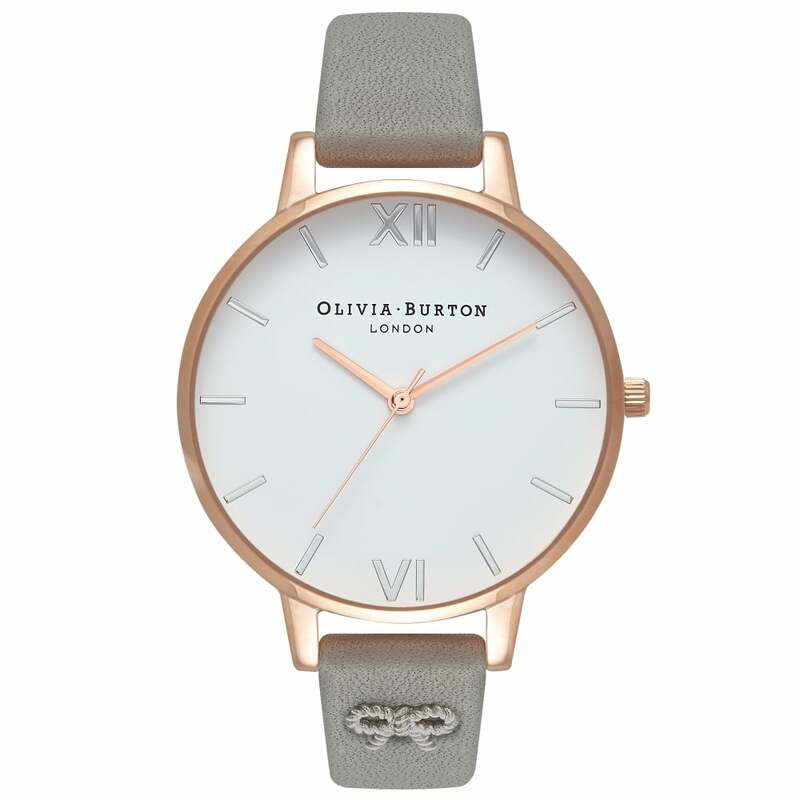 The soft leather strap has been crafted using a classic soft grey and features a mini 3D rose gold bow. Pretty and feminine this is sure to be a real conversation piece this season.